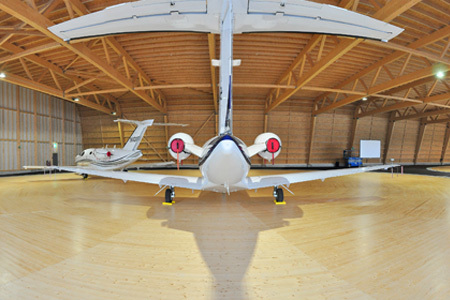 The ALTO hangar carousels for aircrafts and jets rotate circular floor space in almost any dimensions. It can be integrated in existing or planned hangars. Any aircraft parked on it is relocated automatically into door position within a minimum of time. Our standard sizes are 22m and 24m in diameter for small aircraft and 30m or 32m for business jets up to 10t MTOW. Alternative requirements can be met upon request.